Lynch himself has no mean track record as a screen actor. He made his first great impression as Marge Gunderson’s (Frances McDormand) husband Norm in the Coen brothers’ Fargo (1996) and over the years has built a repertoire that ranges from noble, stoic blue collar workers (the doomed stationmaster in 1997’s Volcano) and authority figures (the sheriff in 2003’s Gothika) to more shadowy figures, from the prime suspect in David Fincher’s Zodiac (2007), Varlyn Stroud in Carnivàle (2005) and Twisty the Clown in the popular American Horror Story (2015-17). He is soon to be seen in John Lee Hancock’s The Highwaymen (2019), about the men who hunted down Bonnie and Clyde. But after reading Logan Sparks and Drago Sumonja’s script, Lynch finally decided to step into directing. Outside of its leading man, Lucky features and rich cast, from Ed Begley Jr., Beth Grant and a wonderfully grizzled Tom Skerritt, to David Lynch as Howard, a man bereft at the loss of his peripatetic tortoise. 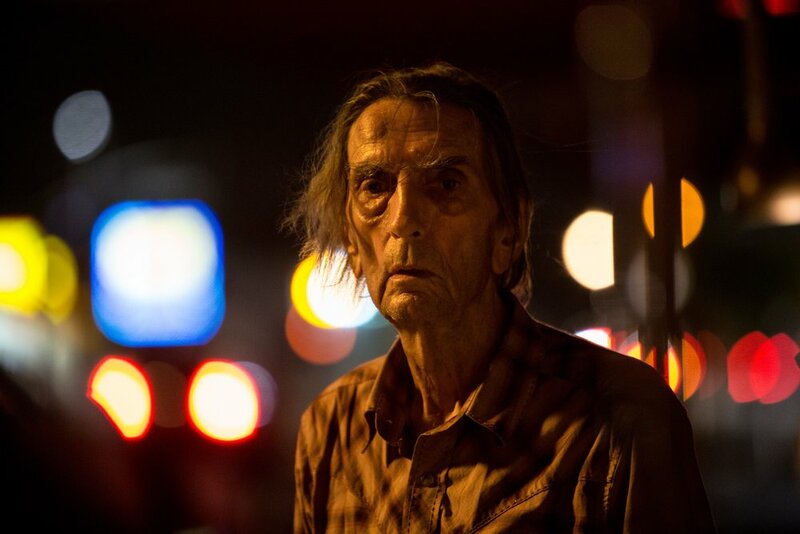 The filmmaker appears in the film as a favour to Stanton – the two have been friends for years (as evidenced by the rapport between the two in the 2012 documentary portrait Harry Dean Stanton: Partly Fiction). Not all actors make great directors. Some, understandably, focus a little too much on performance, while others throw every stylistic trick that they have learned or seen other directors employ at the screen. Lynch’s approach is understated, capturing the nuances and slow tempo of his small, southwest American town. “I love actors and I love acting,” Lynch notes, “and it will always be something very important to me when I'm directing. But not paying attention to the visual landscape – not creating a visual poetry that supports the story, and hopefully enhances and amplifies the performances, to realise a more emotionally arresting palette, do a film a great disservice. Tim Shurstedt is a magnificent cinematographer and we really had a great time working together. It’s a film that requires strong framing. After all, it's not going to move a lot, so you want images to hold attention. Stanton’s skill as an actor as shown in both independent or arthouse films such as Repo Man (1984) and Paris, Texas, as well as bigger budget films such as Alien (1979), in which he plays the extra-terrestrial monster’s second victim. 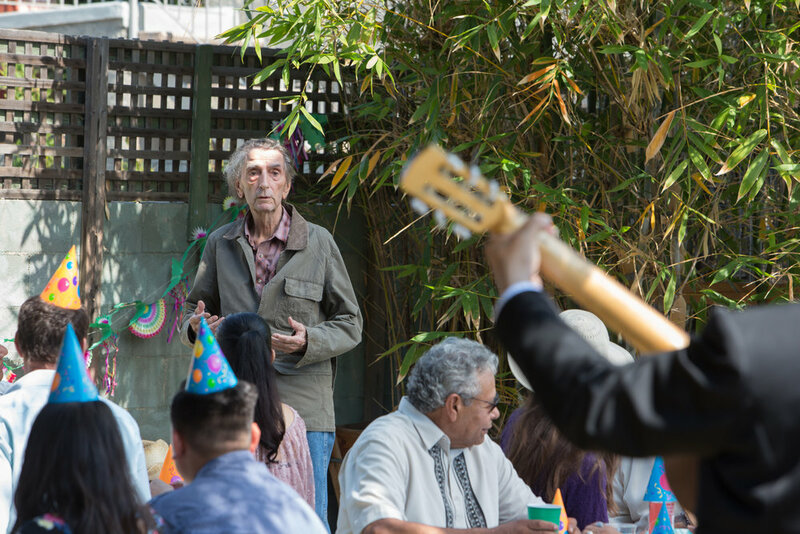 He also has a scene-stealing cameo in Marvels The Avengers (2012), asking after the health of a recently revived Bruce Banner. “One of the things he brought to those brief scenes with Mark Ruffalo,” Lynch notes, “was a moment of humanity in a film that is so technologically complex. It's a real testament to him. Like that scene in Alien, where he's looking at the monster and is not quite sure what it is that he sees. That decision, on his and Ridley Scott's part, to create such a human moment, of complete misunderstanding of what is happening, made the scene all the more terrifying, but also more painful and pointed. He did that all the time. Logan Sparks joins us at Curzon Soho this Saturday 15 September at 6pm to talk about the late, forever great Stanton, and the lighting of his final on-screen cigarette.